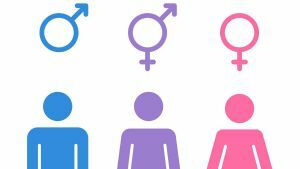 The Constitutional Court of Germany ordered the residents of the country to indicate the third gender in their documents, the newspaper Süddeutsche Zeitung writes. This applies to people who do not consider themselves to be men or women. The new rules should be submitted before the end of 2018. In the documents you can specify a gender different from men or women. The decision was made after the interpreter appealed to the court (that is, a person whose gender can not be uniquely identified as a man or woman, this was confirmed by chromosome analysis). According to the documents, he was a woman. In all other cases he was refused. In Germany, the intersexuals indicated in the documents are either "male" or "female", or left this field empty. In 2016, the Constitutional Court of Germany refused to recognize the third gender. Then Intesex also turned to the copy, recorded in the documents as a woman. The court ruled that German law can not allow the appearance of a third gender. According to the German authorities, as of 2013, there were between eight and ten thousand intersexuals in the country. Activists say that in fact there are about 80,000 people.